One of the YBS NATION fast rising artiste in Ondo state Blast out this bang song to the streets. 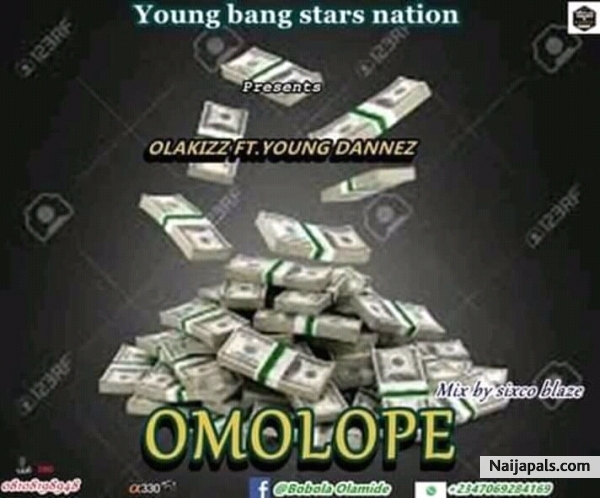 OLAKIZZ the indigenous yoruba rapper bang in with this dope recorded track "OMOLOPE". Featuring His team YOUNG DANNEZ. This song is a kind of street jam, time of celebration, elevating. Getting the paper and making it. This song will be the best song of the year.